Listen to real patients talk about their experiences at Back Institute. who set surgery date with us. This area is only for the patients who had surgery with us. This will help you to follow the best rehabilitative protocol. - picture taken one day after the procedure. At the Back Institute, we perform the most advanced non-traumatic procedures available, using state of the art tools and equipment. Some of our technology is only available here. In a Non-Traumatic Discectomy, there is no cutting, no bleeding and no scarring. So patients are left with only a dot opening that is covered with a band aid. A Non Traumatic Discectomy is an outpatient procedure done to physically remove the offending disc material. The procedure is performed in the operating room. Patients are administered local anesthesia; IV sedation is given by the anesthesiologist. Using a x-ray fluoroscopy and a magnified video for guidance, a small,specially designed nano probe is inserted through the skin of the back, between the vertebrae and into the problem disc location. Nano tools are then used through the hollow center of the probe to remove the offending disc. The Nano tools can be used to push the bulging disc back into place; they can also be used to remove disc fragments and small bone spurs. On average, the procedure takes about 45 minutes to an hour. Typically, there is no pain. Upon completion, the probe is removed and a small band-aid is placed over the incision. There are no stitches. The amount of nucleus tissue removed varies, and the supporting structure of the disc is not affected by the surgery. In comparison to large incisions required for open surgery, the access route to the disc in non-traumatic procedures consists of only the probe's small puncture site; usually the size of a freckle. 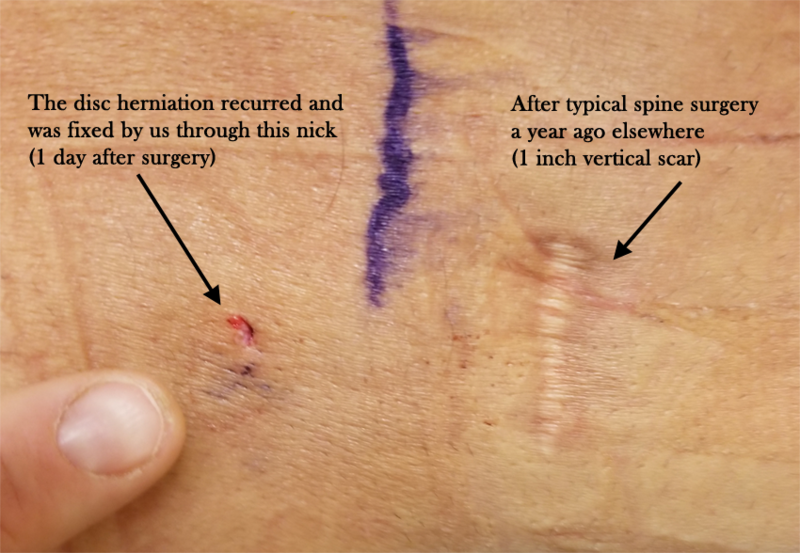 A Non Traumatic Discectomy is very different from an open lumbar disc surgery: there is no traumatic back muscle dissection, no bone removal, and no large skin incision. At the Back Institute, complications are almost non-existent. Higher risk operations--such as laminotomy, foraminotomy, MED, and microdiscectomy--are done at other facilities around the country. Meanwhile, the description "minimally invasive" that many hospitals and centers employ has become misleading. For these so-called minimally invasive procedures are actually very invasive: surgeons are cutting muscle and removing bone in order to get to the disc. They are just doing it through a smaller opening, so they call it minimally invasive. But here at the Back Institute, we do Non-Traumatic procedures, where there is no muscle cut, no bone removed, and no stitches. Muscle, Bone and Joint are cut/removed. 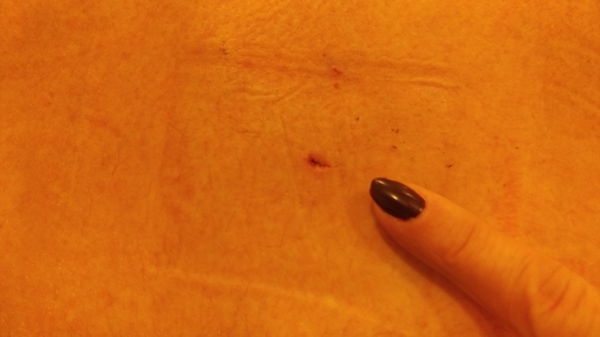 Scar Tissue Develops Throughout the Surgical Area. Annulus Disrupted; High Recurrence Rate (10-15%). Ill Effects May Be Permanent-Constriction From Scarring, etc. Muscle, Bone and Joint are not cut. Why don't more surgeons around the country perform Non-Traumatic Discectomy? They are simply not able to do a zero access damage procedure. They do not have the correct technology available to them and they have no experience with the use of this technology. Many surgeons around the country, even at the biggest centers, claim to do minimally invasive spine surgery, when, in reality, they are performing surgery that, by comparison, is actually old fashioned traumatic spine surgery. The advancements in proprietary equipment and totally non-traumatic techniques that the Back Institute has made in the last 20 years make us the unique leader in performing Non-Traumatic Spine Procedures. It is a source of confusion that the words "minimally invasive" have lost their original meaning. Today, many surgeons around the country are still missing the real point of what "minimally invasive," should be, which is not to cut muscle, not to remove bone, not to cause scarring, and not to alter the normal anatomy of the spine in order to get to the problem disc area. In fact, "minimally invasive" is not specific, clear or understandable language at all, but "zero damage in getting to the problem" is clear. As spine centers around the country rely on clever marketing and catchy words like "laser" to attract patients, they continue to lack the experience, expertise, credentials and technology to do a truly Non-Traumatic Procedure. In fact, a laser is rarely needed in any of these procedures, whether done at the Back Institute or elsewhere. Many thousands successfully treated since 1986. A breakthrough procedure may cure the problem without major surgery. It is an outpatient surgical procedure to remove herniated disc material. Most herniated disk patients can benefit from this procedure. Where do Medical Doctors have their procedures done? 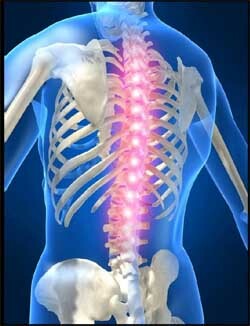 Physicians and Surgeons come to The Back Institute for their personal care of their spine.